In this Marisa Peer review I am going to talk about one of her recent online training programs she has created for massive personal growth in relation to achieving personal goals. I took this online class live back in January 2016 when it launched, and I am still feeling the benefits of it this year (2019). At the beginning of 2016 I was feeling unsure of my direction. I had too many ideas in my head and was not confident about following any one of them for fear that they may not work out or I will not enjoy them. Fast forward to now and I feel more focussed than ever and much more sure of my personal direction as well as the passions that are closest to my heart. I no longer fear going in a direction that is slightly unorthodox to mainstream society and I am feeling happier and more grounded within. I have narrowed down my goals and pursuing them in a way that brings joy into my heart. So, without further ado, here is the Marisa Peer review. Online Class: ‘Uncompromised Life’, hosted by Mindvalley. Note-UPDATE 2019: If you are looking for Marisa’s most recent course Rapid Transformational Hypnotherapy For Abundance CLICK HERE for a free online masterclass. See my review on this new program here. Delivery: Online via audio or video downloads as well as PDF training manual downloads. Marisa Peer is a clinical hypnotherapist with over 30 years experience. Her clients range from children to professional athletes to high end celebrities as well as regular people who are facing some mental and emotional blocks to their success. She has worked on TV shows and has written several books. Watch the video below for more information about Marissa. Forget positive thinking or positive affirmations. One thing that could easily be misunderstood initially about the course and what Marisa has to say about the way the mind works is that she is only teaching positive affirmations. But when you look more deeply, what she is actually teaching is how to dialogue with yourself in order to release resistance to the the things you want. For example, when we say a positive affirmation over and over to ourselves, often we are actually setting up much more resistance to what we want because it is the limiting beliefs within our subconscious mind that stop us from achieving what we want, rather than in the conscious mind. Marisa helps you to explore the language you are using with yourself and how to tap into your subconscious mind to rewire your brain for success. The course is delivered over an 8 week period, however you can take it over a longer period or shorter period of time given that once you have enrolled in the course you will have immediate access to everything. Each week explores a different topic. The most prominent features of the course are the self hypnosis downloads as well as the group coaching download and the lecture download for each week. There are also course notes to download in PDF form to accompany each weeks topic. CHECK OUT AN ALTERNATIVE FOR REPROGRAMMING YOUR MIND WITH SOUND AND LIGHT. All the components of the course work holistically together, however it is really important in order to get massive personal growth that you commit to listening to the self hypnosis audios at least 6 days per week, as this is where the subconscious mind really begins to make shifts. They are only around 25 minutes in length and can be listened to at night time when you go to bed. Each week explores one of the key things that really successful people do which differentiates them from those who are not so successful. Week 1: Your mind does what it thinks you want it to do. This week explores the concept of how we dialogue with ourselves where we don’t even realise it, and how it is affecting our success and happiness in life. Marisa teaches how you can dialogue with yourself in effective ways that are vastly different and far less effort than the age old ‘positive affirmation’. Week 2: You only respond to two things. The two things Marisa talks about in this week are: The mind responds to the pictures you make in your head and the words that you say to yourself. This is a fascinating week of how the mind works in simple but powerful ways. Week 3: Make the familiar unfamiliar and the unfamiliar familiar. This week explores personal habits and how they are affecting our success and well being. The aim is to look at the things we do habitually that are stopping us from getting what we want, and realise the only reason we keep doing them is because they are very familiar to us and the brain likes familiarity. Marisa teaches how to turn the tables on our brain and make desirable habits familiar rather than unfamiliar. Week 4: Do what you hate, and do what you hate first. When I first read this title I thought it was counter intuitive to everything I have ever heard or read about achieving what you want. The idea that we should only do what we love and success will follow is a myth that is busted by Marisa in this weeks lesson. The fact is there will always be things in life that we don’t want to do in order to get what we want. The trick however, is to dialogue with your mind to help you get momentum in the right direction while you do things that are less desirable to achieve a desirable outcome. One of the big takeaways from this week is when we do what we don’t want to do (but we know we should do it), and we do it first thing in the morning, we set ourselves up for success for the rest of the day. This is because of the boost of self confidence that comes with completing a task that is considered a challenge on some level by us. It puts a feather in our cap and helps with our energy to complete other things we want or need to do for the day. Week 5: Take daily actions. This week was a turning point for me in terms of the way I approach the things I want that are most important to me. Taking daily actions sounds obvious but I have noticed that most people don’t do it. In the past I always felt in order to be really committed to something I wanted I had to dedicate hours and hours everyday in order to get it. However, Marisa teaches that this mental approach often fails because we put too much pressure on ourselves and end up not putting in the time because we end up associating the whole goal with pain, not pleasure. If we decide we will just do ONE thing each day at the bare minimum in the direction we want to go, even if that one thing is as simple as making a phone call related to what we want, this is more effective than doing nothing for 4 days of the week and then cramming everything in the other 3 days in order to move forward. Daily actions (no matter how small they may seem) are a powerful motivator to keep our momentum going towards the things that we want, and help us feel successful along the way with small ‘wins’ each day. By doing the work first towards the directions of your goals before you seek out some form of entertainment or relaxing pleasure, you will actually have far more enjoyment of the chosen relaxing pleasure than you would if you procrastinated on the task you know you need to do and sought the pleasure first. The phrase ‘I am enough’ is one of Marisa’s signature phrases in terms of what she is known for. This week explores the use of positive affirmations and talks about why positive affirmations don’t work. It also explores some deeply held negative subconscious belief patterns you may have picked up as a child which are still blocking your success today. This week is an extremely powerful week which had me in tears, but left me with a great feeling of relief. Week 8: Don’t let in criticism, but do let in praise. Our minds are wired to notice danger before they notice positive things which stems back to our hunter gather days where we may have literally had to fight or run away from our food source in order to survive. In modern life, our brain is still wired this way which is why criticism tends to hit us harder than praise does. A criticism can feel like a dangerous threat to our survival in a subtle yet deeply rooted way. In this week Marisa teaches how you can navigate the naysayers in your life, and grow a healthy respect for yourself. As with many courses hosted by Mindvalley, I love how easy it is to access from my mobile phone which gives me the ability to listen to the audio downloads anywhere and anytime, without it having to take up space on my phone. The course platform is extremely mobile friendly and easy to navigate. You have the option of a one click download of all the materials to a desktop or laptop computer where you can play all the audios via an mp3 player from your computer or synch it to your smart phone. You can choose between the video format or the audio format depending on where you are listening. Hypnosis exercises are not longer than 25 minutes. Everyone has issues with lack of time these days, so 25 minutes is not too long to be able to fit in at bedtime. Marisa also takes you through additional hypnosis exercises as well as mind body exercises during the group coaching sessions to prove to you how suggestible your mind really is. She gets you into a ‘doing mode’ rather than a purely listening mode so you can have a deeper understanding of what she is talking about. She breaks the mind down from something that is often seen as really complex to something that is easily understood. I would have liked more details in the accompanying PDF notes to go with each week. On the whole, I didn’t find the notes that useful and were a little basic for my liking. Perhaps a written transcript of the lecture would have been better or dot points of the main takeaways from each week. However, there were some useful exercises included in the notes which helped to jog my memory of what was explored in the audios and videos. UPDATE 22nd FEB 2017-All transcripts of the lectures are now available. Who would I recommend this program to? I would mostly recommend this program to people who feel stuck or lacking confidence in themselves to move forward. Or, if you have some big dreams in your life but feel you are nowhere near achieving them, or possibly feel your dreams are out of reach or not possible for you, this course would be great for you. If you feel you have been trying to achieve something different in your life, but also feel you are hitting brick wall after brick wall, then taking the Uncompromised Life course would be very useful for you right now. Why would I recommend it to Tarot readers? If you are a Tarot reader you are basically dealing with the unconscious mind on a daily basis, and it would be worth exploring your own in order to provide even better value to your clients, or get more out of your own personal readings. It can also help with your self confidence in setting up a thriving practice to increase your client base. Out of all the personal development programs I have taken, An Uncompromised Life has had the biggest impact on me. When I initially started the course the benefits were not so apparent. However, when I got serious about listening to the hypnotic downloads each day, things really started to shift for me. My advice to make this program successful for you. If you want this program to really work for you, you have to follow through with the hypnotic exercises rather than just listening to the lectures and group coaching downloads and occasionally listening to a hypnotic download. I recently begun taking the course again, and the second time round has been far more powerful than the first time as I am applying the principles in a much more active way. If you would like to purchase this course, click here. Or, if you would like to sign up for a free online masterclass with Marisa to get a taste of what the whole course is about, click here. Or, if you would like to sample a free online 5 day course that Marisa offers, click here. BONUS: If you purchase this course through one of the above links or attend the masterclass, I’ll give you a free Tarot reading either via email or skype. To claim this, simply email your proof of purchase to info@mindbodytarot.com, and I will be in contact with you within 24 hours. If you have any further questions about the course, feel free to comment below. If you are interested in Marisa Peer’s programs she has recently launched a 35 day quest program where you will receive one Rapid Transformational Therapy hypnosis session every day for 35 days. This challenge like format is designed to supercharge your progress with self hypnosis and gives you a concentrated period of time where you will delve deeply into the process of inner change from the deepest level of your mind. This quest is an excellent addition to Uncompromised Life, or effective as a stand alone program. If you would like to go ahead and purchase this program, click here. I am so grateful I found your page as I do love mindvalley and all the courses they provide, however, I never know which course is right for me. I am happy to say I will be signing on for this one and I made that decision based on what you wrote about week four. It makes logical sense to do the thing that you hate first, because it will prevent your mind worrying about it and ruining the rest of your day. Hi Amberlee! Yes I know what you mean-they really do have so many great courses and I want to do all of them at the same time. However, I will say this one has had the biggest impact on me in terms of just getting focussed and finding the energy to take actions everyday. So many light bulb moments occurred for me as I was taking this course! I find this site very interesting. I have always been into Astrology but I don’t know much about Tarot . I have big dreams so I will probably check into this. Thank you for information. Thanks for your comment Angela! Glad you find the site interesting. This Marisa Peer program as been really valuable to me in order to get the right balance of motivation and confidence in order to move forward with all my plans. Let me know how you go if you end up checking out the program. You can opt in to a free masterclass here to see if it would be a good fit for you. Liz, I hadn’t heard of Marisa Peer, nor Mindvalley, until I came across your article. But this is right up my alley. I have been going through a very profound personal/spiritual transformation myself over the last few years. It is mostly the result of almost dying awhile back. Events like that are difficult, but they do tend to change your perspective. We truly are the creators of our life experience, for sure! Oh Stella what an amazing life changing thing that would have been for you! Glad you are still with us. If you are into this kind of thing, you will just LOVE Mindvalley. They offer the best personal development information products in my opinion and I have taken many of their courses. Thanks for your comment! Since you have taken many of mindvalley,s courses, Are then now more abundant/rich ???. Or are the courses not working that way ??? Hey Dave, thanks for stopping by. Not quite sure what you mean in terms of abundant/rich? Do you mean in comparison to something else? Or do you mean are they getting more numerous? Hi Anthony, thanks for your question. Yes-if you purchase this course through the link that I provided, I will get a commission. This does not cost you any extra than if you bought it direct from the Mindvalley website. However, do know that the reviews I write on my site about certain products are because I have personally bought the program myself and gone through the entire course and tried to experience all it has to offer in full. I have so much admiration for Mindvalley and all that they teach and I want to be part of what they bring to the world. So yes, of course I hope people will buy it through my link given that I may have helped them make a decision about whether or not they are going to buy the course, but I hope you can trust that I walk my talk regarding these programs and would not be writing about them if all I wanted was to make an extra dollar. I want to live and breath what they teach, and to be part of introducing others to the life changing principles they advocate. This is a great review, extremely detailed and lengthy. Even though this course seems like it’s for anyone in need of motivation and personal development, it’s interesting that you recommended it for people who are into tarot cards. I know I bought some tarot cards not too long ago because I thought they would be a cool exercise to get me thinking about my life and where it’s going. I believe very strongly in self analysis and exploration. I’m going to be paying a lot more attention to audio books and things of this nature in the future, courses like the one you reviewed just now. Hey Hilton, thanks for visiting. Tarot is an awesome way to explore your subconscious mind and the more you get into them, the more you want to know about them and the mysterious way in which they work. Programs like Ucompromised Life help to install a real sense of self confidence and focus which helps your ability to trust your intuition a lot more when you read the Tarot. This was an excellent review about Marisa Peer’s Uncompromised Life class. $300 is a good chunk of money so I appreciate you taking the risk and writing a great detailed review about the course. I have been disappointed by online classes in the past. However, I trust your recommendation and I will look further into this course because I am interested in those 25 minute hypnosis sessions. Hey Mike, thanks for your comment. Yes I do feel like a lot of online classes can disappoint, but I can assure you that Mindvalley is the best company when it comes to personal development and they bring on the best people to teach through online classes. I have been a subscriber of theirs for several years now, and have taken several of their courses. And, of course, they offer a money back guarantee if for any reason you end up being disappointed. I keep returning to the hypnosis sessions over and over and I feel they get more potent over time! Just had my cards read this weekend! You have really put this site together nicely. It’s nice to see the meaning of some of the tarot cards as well as a description of each suit including the Major Arcana. Also, read your review on Marisa Peers and thought it was well done. Nice site! I went to a seminar that targeted the mind and how to transform it to become successful in all aspects of your life. I have to say that it is hard work to shift from the way you were used to think to a new way of thinking. I have to practice on working less hours towards my goal so that it becomes an enjoyment instead of something I have to do. I know what you mean Irma! I am trying to work on the same thing. It is hard to shift from the way we used to think to a new way of thinking, but I think the key with it is to practice it a little bit each day, rather than one massive effort on one day of the week and then nothing for the rest of the week. Little by little, thought by thought is the path of least resistance I feel. Great review of Marisa Peer. I think this course could be very helpful to so many people. I don’t see myself needing it, but when I ran across this post I was drawn. Anytime there is a chance for personal growth and clarity, I think it is a great thing. We need more upbeat and positive people in the world and some just need a little guidance. Thanks Matt’s mum! You are so right. The more happy and upbeat people we have in the world the better the entire world! Would you recommend this course if I do not have any big goals? I gave up on any I used to have because people kept telling my they were not worth agonizing about. The agony was that I always get distracted whenever I try to do anything for myself. I would be glad if I could even do small things, like write postcards to people, or do my tax returns (quite a lot of money), or sew on a button. Hi Mynar, oh I feel your pain! I used to be like that. I would start one thing and then get distracted and then start another thing and then another thinking that I could do ALL of them at once, and then I would end up not doing much at all. When it comes to ‘big’ dreams, one person’s ‘big’ dream could be another person’s ‘small’ dream. It is all subjective. Basically what this course has helped me the most in is getting my thoughts ordered, and helping me be focused about going after what it is that I want in a way that is measured, not frantic. When we think about a ‘goal’ or ‘dream’ that we want to achieve, at the root of wanting to achieve it is a belief that we will feel better in the having of it relative to where we might be standing in the present moment. Marisa Peer’s course can help get you into a state of feeling more in control of your life and more focused on anything that you want (whether that be a ‘big dream’ or ‘small dream’) in a calm and measured way. So even if you have given up on the big dreams you were thinking about-I assume you still want things-even if they are only small things in your own mind (like finally knocking over that tax return and the relief you will feel once it is done), and the course will help you with that too, and build your confidence up. The course goes into the reasons why we procrastinate and she talks about the root cause of that and it is because we associate the task at hand with pain, and in her hypnosis sessions during the course she helps to rewire your thinking around this kind of thing. I found this particularly helpful. Thanks Liz for your sympathetic comment. I don’t think I’m avoiding pain though. I think I’m not allowed to have any success at all. So if the course seems it might work, you can be sure I’ll have technical difficulties with the mp3, forget to do the sessions at all, do something dumb at work so I’ll have a lot of problems there. Also, I do not like that child Marisa is having me visit. But maybe she can get past that somehow…. Hi Mynar, I think that the part you might find most useful in this course is the ‘I am enough’ session. Although it may bring some painful things up for you, it is better to be aware of these things and forgive yourself for your short comings so you can embrace your whole self, not just parts of yourself. We all have things about ourselves we don’t like, that is just part of being human, and if you are feeling you don’t deserve success at all there is likely a self worth issue going on somewhere under the surface. Best to bring this to light so you can heal it. The course will definitely help you do this. If you are doing the course from a mobile phone, it is very easy to navigate, but the desktop version is just as easy too. In terms of doing the exercises, one thing that can help is if you just decide that 3o mins before bed you are going to do them. This was my routine with it-I would get ready as if I was going to bed, but then sit up in bed and do them right before sleep. Sometimes I lay down, but often would mean I would fall asleep! Liz could you please give me your opinion on the segment of the course where Marisa helps you discover your purpose that you should pursue in life based on your gifts/ talents. She mentions her method for doing this in the masterclass I watched and I’m interested in whether it worked for you? One thing that Marisa is most known for is her phrase ‘I am enough’, and when it comes to following your dreams and finding your life purpose you first need to feel that ‘you are enough’. This sounds pretty obvious, but so often we get told we have to do affirmations and you have to hustle hustle hustle and you have to be like this or that and focus on a goal- but all of that is kind of pointless if at the root of it all, you actually don’t feel that you are enough. I have to admit I was expecting something different when it came to be more clear on the life purpose thing, but without having a deep appreciation for ourselves FIRST, we can’t even hear or see what our life purpose would be. It’s almost like if we are confused over this issue, it is because at the heart of it, we actually feel inadequate in some way, and that makes total sense to me. Initially when I came across this idea of hers I felt it was an anti climax. However, I think her idea of using this one thing as your personal affirmation is actually very powerful because it is down to earth enough that our brain and nervous system can actually let it in as opposed to some grandiose statement or affirmation about what we want in our life that our subconscious mind actually rejects. Apart from this one section, the whole course is actually geared towards knowing what your life purpose is because it teaches us how to have deep self confidence via a variety of methods. A lot of it has to do with changing our beliefs and opening up to greater possibilities for our lives, and the core of this comes from her self hypnosis audios within the course. Hi Liz. I would like to get reassurance from you regarding the Integrity of MindValley service and product delivery for the Malisa Peer Uncompromised Life series . Are they still delivering the product as they advertise to date ? Would you kindly look into this and contact me or send me feedback … ASAP. Thank you. Hello Nathalie, I can assure you they are delivering as they promise. I only recently bought some of their other programs which were “Energy Medicine” as well as “Unlocking Transcendence” (in fact I am a bit of a Mindvalley junkie I have to admit because I just love their programs and their teaching platform and I really believe in what Vishen, the CEO stands for). To get a taste of what you will get I highly recommend you check out Marisa Peers short 5 day course which is free where you will be given your own login to Mindvalley’s learning platform and you can see for yourself how they are delivering their content. It is easy to navigate and high quality. Let me know if you end up purchasing it and if you have any other questions about it at all, don’t hesitate to ask! Do you know if the course is still $279? Hi Yun, I think it is, but if you attend the masterclass you might get it for less. There are different prices on the course depending on when you sign up. Sometimes there are specials and other times if you sign up within an hour of attending the masterclass it is cheaper. How long do we have access to the course once we purchase? Hi Zee, you have access forever after purchase! You will receive a login to your own account where Mindvalley will store any courses you have purchased from them and you can also login from a mobile app and access the course that way too. It is a brilliant system. Hi Liz, Thanks for your prompt reply to my query above. I did listen to the Marisa Peer masterclass and wanted to sign p but the price is not $279 as mentioned in your review but $349 …any ideas on how I may purchase it for the lesser price? Very interested! I bought the uncompromised course in July 2017 and I am still going through the course. despite being highly suggestible to hypnosis the only monetary results i have had in four months is one commission. I want to be wealthy but i am not buying any more programmes as the ones i have promise to give me results i am looking for, they are all marisa peer’s programmes and i have used them accordingly. Do you know of anyone who has earned a signifcant amount of money from relationship with money and the uncompromised life programme. Hi Joanne. Thanks for your comment. I don’t know anyone personally, but it would be a good question to ask in the Uncompromised Life Facebook group. Are you a member? I have personally definitely increased my income as a direct result of doing this program, but it did not start happening until I realised that what self hypnosis is really good for is giving you the emotional energy to go and take action on what you are trying to achieve. I was a little naive when I signed up for the program at first thinking that money would start magically coming to me without me having to do much, but this is just not the case. As I continue to reap mental benefits of this course, it is more and more apparent to me that if I am not taking action that I find enjoyable and feel in flow with, I am off course and money will not flow to me. I feel the heart of the course is about getting into a flow state where you don’t feel you are pushing hard to get what you want. So, would you say that all the actions you are taking towards increasing the flow of money towards you feel enjoyable and in flow? If not, it may be an indication that you are still associating increasing your wealth with some kind of pain, which is going directly against a flow state to be able to take the right kind of actions that feel good. Hi Janet. I am sorry you feel this way. It is always best to buy a Mindvalley product by attending one of their free masterclasses for the program you are interested in, and taking them up on the offer at the end of the class because this will always be the least expensive way to buy their programs. $845 is quite a lot to pay, and you could have paid about half the price for the course had you purchased straight after a masterclass. In terms of the program being similar to a lot of free youtube clips, there is a lot that Marisa says that she reiterates in the paid program. However, what is NOT on youtube is the most important part of the course which is the actual hypnosis downloads. (I looked and I couldn’t find any on Youtube). These downloads are where you are going to get 75% of your results with this program if you use them exactly as Marisa instructs you to use them within the course. It is one thing to hear what Marisa says in terms of her core messages on YouTube, but it is a completely different thing to actually doing the work required for massive change. 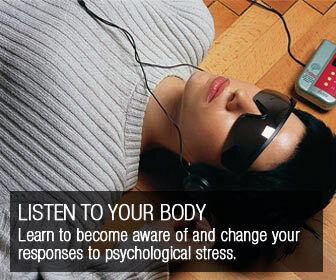 You need to set aside time each day to do the hypnosis tracks within the course until you get the changes you want. You won’t get the change you want by simply listening to her free lectures online-as good as they are. The other benefit of having the course as opposed to just listening to her on YouTube, is it lays out all her teaching in a very structured step by step way. There is a particular ordered way to approach her teachings, and if you are only going by what you find on Youtube, there will be no method or structure to what it is you are learning and therefore you are less likely to absorb what she is teaching. I can honestly say I have no regrets spending the money on this course. Even 2 years later, I am still using it and continue to grow from it. I know Mindvalley products can get expensive (I have purchased a few), but the only time the money will have been wasted is if you don’t actively commit to what is being taught in the modules, and in this case-the hypnotic downloads are the core of this program. Before you go and get your money back you may want to consider using the program as much as possible before the 30 day money back guarantee is up. Then on day 28 if you still decide it is not worth-go and get your money back.